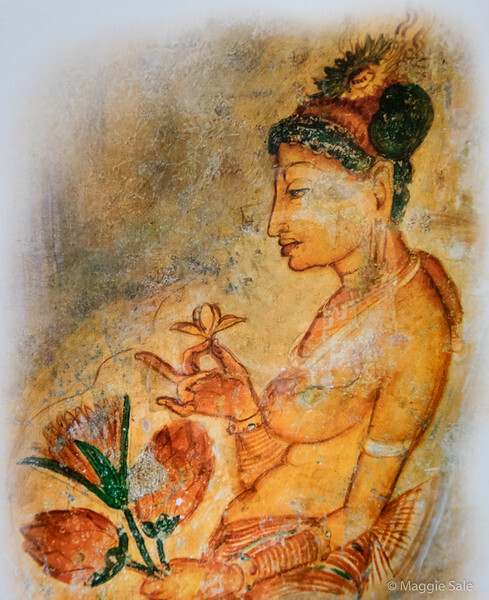 Photography of the cave frescoes is not allowed so I had to buy a couple of post cards to show the ladies! 21 of these paintings still remain. They used to cover most of the side of the rock.